We welcome your questions, which we will do our best to answer by email. If a question and answer seem likely to be of interest to others as well, we will publish them both on this page. Please also note that many shop-related questions can be answered via our Terms and Conditions. • How safe are K'NEX products? • How do I order online? • Which is the best K'NEX set to buy? • Why do you request my email address and phone number? • Can I order offline? • Can I just ask for a quotation? • How do I navigate around the site? • Can the site be used by people who are visually impaired? • Why do I get an error message? • Are K'NEX bricks compatible? • Why don't you sell used K'NEX? How safe are K'NEX products? Unlike many construction kits and toys, all K'NEX rods, connectors and bricks are manufactured in the USA, at a sister factory next door to K'NEX headquarters in Pennsylvania. This factory uses raw materials from premier quality US manufacturers, operates under the strictest of guidelines, and is certified to meet ISO 9001 Standards. A small number of specialized parts, such as motors, are made in China. 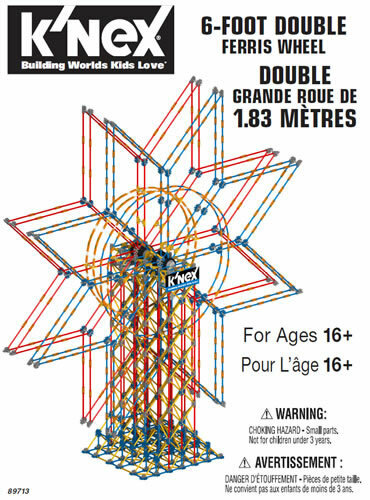 All of the materials used in K'NEX products meet global toy safety standards including the United States Consumer Products Safety Improvement Act of 2008 (CPSIA), the European Unions Toy Safety Directive, the Canada Consumer Product Safety Act, and the Australian Toy Safety regulations. The parts are routinely examined by an independent, third-party laboratory to ensure that they meet safety standards. Ordering online could not be easier - simply add the products you want to buy into your Shopping Cart, and then proceed to Checkout, as shown below. We recommend that you start by browsing through our online shop, and then add any products that you wish to buy into the Shopping Cart by using the [Add to Cart] button for that product. Any product you add to the shopping cart will initially have a quantity of 1. To revise the quantity for any product, change the value in the "Quantity" box for that product, and then click on the [Update] button at the bottom of the Shopping Cart page. Products can also be removed from the shopping cart if you wish. Simply tick the "remove" box for the product, and then click on the [Update] button at the bottom of the page. Which is the best K'NEX set to buy? It is not possibly to define precisely which K'NEX sets give "best value", as (for instance) some sets contain classic K'NEX components, whereas others contain the smaller Micro K'NEX components. However, one indicator that you might like to use to compare sets is "Cost/piece", that is the average cost of each piece of K'NEX in the set. This ranges from 5p/piece on some large sets and special offers, right up to more than 20p/piece on certain sets. Where possible, we show the cost/piece for every K'NEX set we sell in our online shop. You may also find it helpful to view our set comparisons. 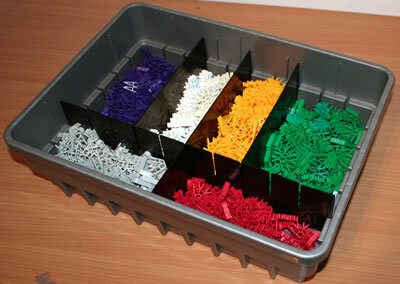 Whilst most K'NEX retail sets are sold in throw-away cardboard packaging, most of the K'NEX and Kid K'NEX education sets we sell are supplied in a storage tub or tray, that can be used as the permanent home for your K'NEX set. Why do you request my email address and phone number? When you place an order with us, we request during Checkout: your organisation name (if any), contact name, address, postcode, email address and (only if your order is being shipped via Express delivery) your telephone number. An accurate email address is essential, as this is how we send your order acknowledgement, raise any order queries with you, and keep you up to date with the delivery status of your order. Your telephone number can also be of help to us in fulfilling your order, for instance in situations where the carrier cannot find your address. Rest assured, we will never telephone you for any other reason, or pass on your telephone number to a third party other than the organisation(s) delivering your order. 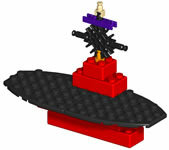 If you prefer, you can order K'NEX sets offline via our Printed order form. ♦ If you are based in the UK, and are a public sector organisation, a large company, or a large charity, we will despatch the goods to you, and then invoice you. ♦ If you are based in the UK, but are not any of the above, we will send you a Pro forma invoice, for payment in advance of the goods being despatched. ♦ If you are not based in the UK, we will send you a Pro forma invoice, for payment in advance of the goods being despatched. 1. You can also download our K'NEX Catalogue if you wish, to help you identify which set(s) to buy. 2. We are not able to ship K'NEX sets outside the UK at present, sorry. Can I just ask for a quotation? 1. "Add to cart" the products you require. 2. Proceed to Checkout and complete Checkout pages 1 and 2. 4. If you want a printed copy of the quotation, select the payment method "Quotation only", and then confirm the order. 5. You will receive a copy of the Quotation by email. We have tried to make navigation around the site as simple and as quick as possible. ♦ The navigation bar on the left will take you to the different main sections of the website, will allow you to change language and/or currency, and will also permit a Quick Search. ♦ The navigation bar at the top will allow you go to the Shopping cart or to Checkout. ♦ The links at the bottom of each page will take you to the main Information pages for the site, Terms and Conditions, and Frequently Asked Questions. ♦ A "breadcrumb trail" is also displayed at the bottom of each page, showing how you arrived at this page. ♦ On appropriate pages, navigation buttons appear at the top and also near the bottom of each page, including Top, Home, Prev, Up and Next. These buttons will take you to the top of this page; the website home page; the previous page at this level; up a level to the "parent" page of this page; and the next page at this level. Can the site be used by people who are visually impaired? We have done our best to ensure that this website can be accessed by people who are visually impaired, and is compatible with all online accessibility features. If you want to magnify the contents of any page to make it easier to read, we recommend that you enable the "Web content Page zoom" facility in an internet browser such as Google Chrome. You can then set the Page zoom to 120%, 150% or whatever magnification suits you best. 2. You do not have Cookies enabled in your internet browser. 3. 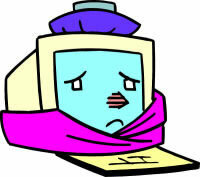 Despite extensive testing, an error has crept into our website. a) Prices displayed will be in GB pounds (£) only. b) Some English-language words may appear on German or French web pages. This website will operate if you choose not to have Cookies enabled in your internet browser. You will not be able to buy any products online, but you can still browse through our online shop, and buy offline. For this reason, we recommend that you keep Cookies enabled whilst browsing our website. If you are not able to do so, please Email us for assistance. We are always very concerned if anyone receives an error message other than the two above when accessing our website. Please Email us immediately if this happens. 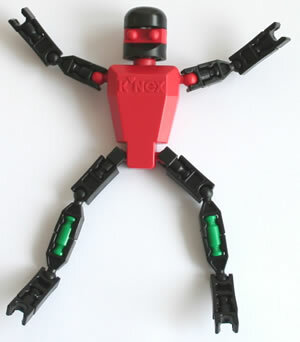 Since our launch in 2004, we have only ever sold genuine, new, unused K'NEX parts and sets. We believe that, for most K'NEX users, this is their preferred choice. 1. It is not easy to be sure that any used K'NEX parts offered for sale are genuine K'NEX parts, or whether they are counterfeit K'NEX parts, which may not meet international toy safety standards. Are K'NEX bricks compatible with others? ♦ Are manufactured to the highest quality standards in the USA. ♦ Are compatible with other leading brick-building systems.